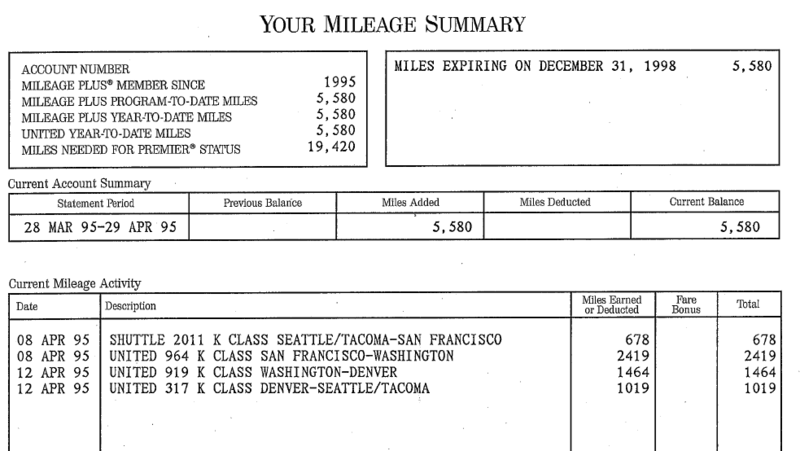 This seems to be quite the week for me with travel-related milestones. Earlier this week, I noted that I would be soon visiting my 50th state. But today marks a milestone a little different. Twenty years ago TODAY, I boarded my first commercial flight. Time flies, eh? Picture it: Seattle, Washington. April 8, 1995. Junior High. Spring Break. My parents were sending me on a weeklong trip to Washington, D.C. to learn about our nation’s history with my eighth-grade U.S. history teacher. My class had spent eight months learning all about U.S. history and now we were about to fly across the country to see it in person. I was so excited – mostly to fly to the other side of the country, but partially to see some of our nation’s history. The night before the flight, I couldn’t sleep. I was too excited. After a sleepless night, morning came. Early morning that is. My parents loaded my brothers and me up into the family car and we drove to SeaTac Airport in the dark. At the airport, we found the group and our chaperones completed the group check-in. With all the boarding passes issued, the entire group—parents, siblings, etc. made their way through security. Remember the days when anyone could go to the gate? How much has changed since. The gate agent began boarding, calling for first class first. I remember thinking that those folks must be super-rich to be flying first class. My best friend, Ted, had flown before so he was explaining everything to me. First class boards first so they can get settled before everyone else boards. He assured me that an aisle seat was much better than my middle seat (true; but it turns out he had negotiated with our other classmate sitting in the window to switch to the middle, which means I got Ted’s assigned aisle seat). 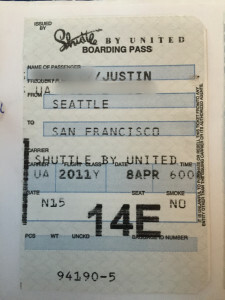 My very first boarding pass. I remember walking down the cold jet-bridge and onto the 737. A flight attendant was in the galley pouring drinks and I turned right. I was amazed at the fancy first class seats—they were HUGE, leather, and all the passengers were drinking (I assumed they were all having cocktails because Ted told me that cocktails are free in first class). As I made my way down the aisle, I saw all my friends and classmates. They were playing with tray tables and window shades, talking loudly with each other…you know, annoying all the passengers around them. I found my seat and stowed my Jansport backpack under the seat in front of me. Before I knew it, the flight attendants (or were they called stewards and stewardesses back then?) were conducting their safety briefing. The plane started moving. We taxied for a bit and then the captain announced, “We’ve been cleared for departure.” The engines revved up and we started screaming down the runway. I looked back down the aisle and there was my junior high history teacher waving his hands in the air. And then we were airborne. I don’t remember much else from the flight other than I loved it. I loved the idea of getting on a bus with wings (as my friend Ted described it) and being somewhere hundreds of miles away in a couple hours. I was hooked. I couldn’t wait to fly more and go more places. 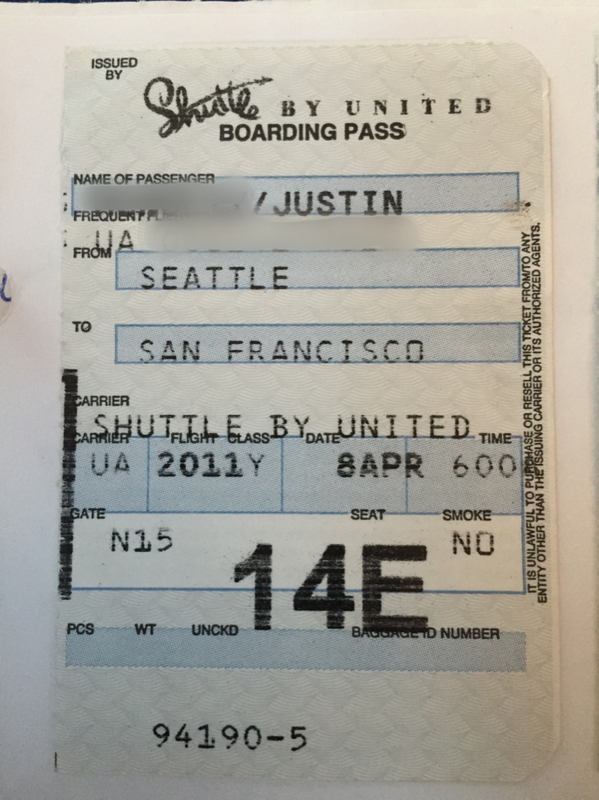 Lucky for me, my next flight was on a United Airlines 747 going from San Francisco to Washington-Dulles (UA 964). 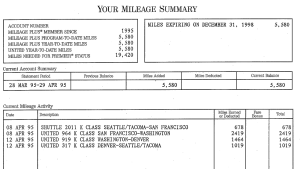 A copy of my first MileagePlus statement. Do you remember your first flight or when you got hooked on flying? When was it and where were you going? My first flight was from Korean to New York in 1990. I don’t remember much except feeling excited and once we landed, the first American (I’m assuming it was a steward greeting us when we exited the plane) I saw patted me on the head. I can’t imagine the different emotions for that kind of experience. That’s a great story, EJ!